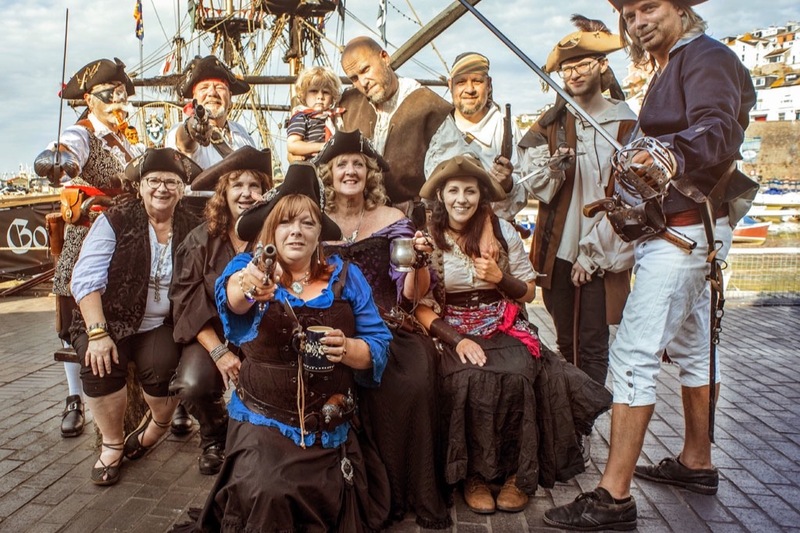 This annual gathering of the world’s most infamous pirates and scallywags is held on and around the Harbour in the heart of this historic little fishing port at the southern end of Torbay, over the first Bank Holiday weekend each May. Come and join us! It’s family friendly, suitable for everyone and all ages. 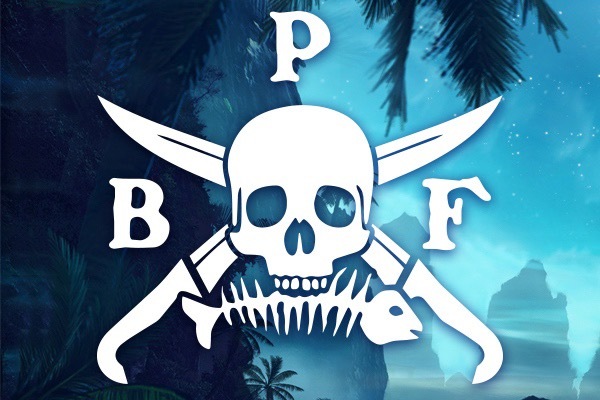 Many come to show off their pirate finery after the winter as it’s the first pirate festival of the year (you don’t have to dress up, but it’s fun if you do!) There will be LOTS of pirates, amazing music – sea shanties and pirate rock - living history and re-enactments with some big bangs, militias, cannon, and skirmishes. There will be games, buskers, jugglers, street performers, street stalls. You’ll find lots to eat and drink and people having fun and being very merry. There’s a great atmosphere - and sometimes it will be loud! Once the day’s programme is over you can eat and drink in town (in pirate filled pubs) and hear more music too. You can drive, park n ride, come by bus, or by ferry. And it’s free! You don’t need a ticket to come! Putting on the Festival costs lots of money. To make it safe and legal we pay for road closures, signs, licences, insurances, security people and first aid teams, safety fences - and extra toilets, stages, all the equipment, before we even get to the entertainment! That’s around £32000…..and we can’t charge an entrance fee….How on earth do we do it? The Festival can only happen if we get enough donations, sponsors and pledges of support.. Everything raised goes to pay for the Festival; anything left over goes towards the cost of the next year’s Festival. As you might imagine, a big part of each year is spent raising funds. We’ve scraped together the bare minimum for the 2019 festival – help us make it Better and Bigger! 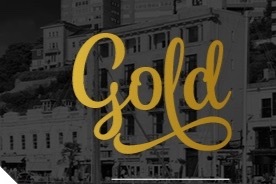 We are proud to announce that The Brixham Pirate Festival has won GOLD for the 2018 South Devon Tourism and Hospitality Awards!